PRICE REDUCED !!! Beautiful Townhome on the water with PRIVATE ELEVATOR. This (3) Bedroom (2 1/2) Bath with Study/Den, is where it's at for Waterfront Living. Its located at the COVE at Suntex Marina (formerly Loggerhead Marina). You will enjoy resort style living at its best, friendly neighbors, and share your back yard with our resident manatees and dolphins. You can easily venture to the Gulf of Mexico, Tampa Bay, or Boca Ciega bay in just a matter of minutes by boat to enjoy fishing or just taking a cruise. Boat slips are available for lease right behind your townhome. 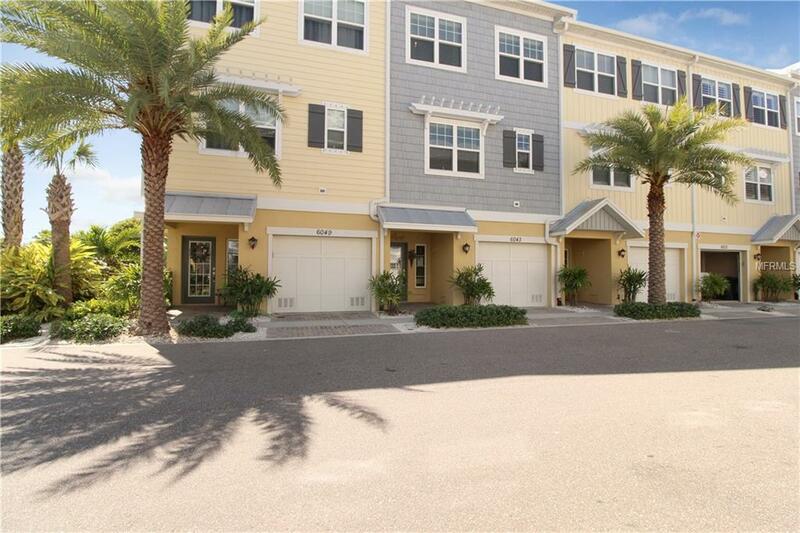 This Townhome has a multitude of upgrades including volume Ceilings, granite counter tops, 42in. custom cabinets, custom paint, crown molding , stainless steel appliances, 5.1 surround sound, built in pest control, ceiling fans, soft water filter, solar shade on lania that rolls down and all window treatments. The two car garage has enough room for two large cars and still boasts enough room for your toys. Conviently located to I-275 and only minutes to the awesome Gulf beaches and Downtown St.Pete . COME AND START YOUR WATERFRONT LIVING TODAY, NONE BETTER FROM BELAIR TO TIERRA VERDE !!! Amenities Additional Fees Dock Slips Are First Come First Serve. Slips Can Be Annually Rented From Suntex Marina At The Current Rate 10.50 Uncovered 13.00+ Per Foot Covered. Electric & Utilites Charged Separately. Pet Restrictions (3) Domestic Pets (I.E. Dogs & Cats). No Viciousness Or ill Temper Breeds. No Exotic Pet Or Animal Of Any Kind Which Has Venom Or Poisonus Defense Or Capture Mechanisms Or if Let Loose Would Constitute Vermin .